.....My Views Encapsulated In Words...: The Way Singaporeans Live!! In 1959 Singapore attained its full government and election was won by People Action Party whose leader Lee Kuan Yew who became the first Prime Minister of Singapore. Lee Kuan Yew was the world’s first country Marketing Director who built the “Singapore” as a brand. According to United Nations Human Development Index (UNHD) 2014, ranks Singapore as 9 out of 187 countries with feeling of belonging, vibrant culture, racial harmony, strong ethic and ethnic tolerance. Throughout the world it is famous as holiday, shopping, business and living destination. Due to its cosmopolitan culture it has evolved and grown like no other nation in the world. The majority of the population is dominated by Chinese following by Malays and Indians. Singapore has seen change in the trends of consumers in last few years, it can be due to various reasons, few of them can be named as influx of expatriates which creates competition for Singaporeans, increasing spent on tuition fees of children, and increase in e-shoppers aged 25-34 (72%), 15-24 (51%) , 36-49 (50%) as well as 50-59 (34%) with aged 60 and above contributing 23% which include clothes, airline and cinema tickets, books and gadgets, online grocery shopping (Euromonitor, 2014). Also Singaporeans love to travel, dine out, and donate in charities while enjoying weekends luxuriously. Parents of these infants and kids are sending their children to enrichment centers from the early age as they believe to develop them emotionally and culturally it is very essential for them where they learn both English and Mandarin as language and they themselves attend parental programs and visit parental websites. Also they have this perception that better the enrichment centers better will be the school in which their child will start his/her education. The uniqueness for this segment doesn’t stop here even baby spa, gym, swimming, yoga, brain training in form of “Shichida” classes is very popular in Singapore. This segment of consumers is exposed to mobile phones and they make most use or misuse of it depends upon the marketer who wants to use this information. These teenagers top interest’s lies in music, computers and movies. As Singapore has high household broadband penetration they remain involved in messaging, video games all time. 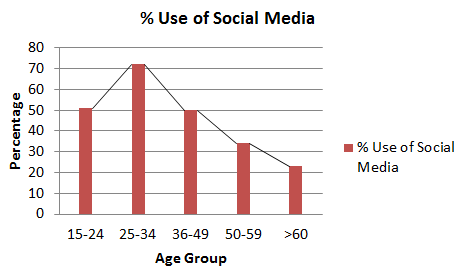 Facebook is most popular social media for this segment of users followed by Twitter, YouTube, LinkedIn and Pinterest. But it is interesting to know that aged 17-19 join Linked in account for professional purpose. They also suffer from blood pressure and sugar problems, due to inactive participation in sports where companies can surely target and leverage by promoting healthier lifestyle as it can turn out to be a big gap in economic progress. For this segment it is interesting to know that males have to serve compulsory 2 year military service where female enter higher education or work. Another interesting trend which can be seen is according to Kelly Global Workforce Index younger Singaporeans were switching jobs to find positions that could give them personal growth (41%) and personal fulfilment (29%). Apart from this, the prestigious Hawkers centers are somewhere loosing charm in Singapore due to hygiene factors. Raw food is slowly taking place of other fast food options along with Chinese tea which is claimed as coffee of Singapore. Now it’s time for companies to utilize this opportunity and expand their horizon to the untouched segments of Singapore - trend is changing you just need to get most out of it!